By starting our company we offer the consignees and the ship owners a new possibility to decide which mooring company to work with. 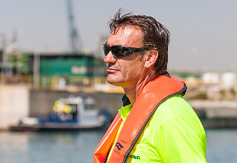 The service has to be quick and safe both for the vessel and for the professionals who perform such service. The quality in the service is obtained thanks to a team of professionals who master the mooring activity. All of them are multipurpose professionals trained to perform the different functions that the mooring service entails. 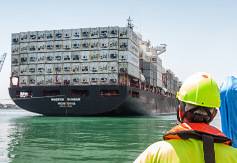 "Assisting in a vessel mooring is like conducting an orchestra in a perfect symphony"
"The quality in the mooring perfomance is the key to our success. We are aware that there are no limits while chasing quality." "Team work is fundamental. Every one of us is a necessary piece in a huge jigsaw puzzle." "Time is money. We do our best so that the client does not waste any minute." "I believe we found an appealing formula for the clients. The Proof of that is all of them call us again." 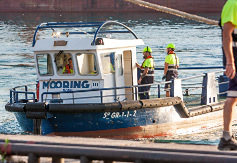 © 2012 Mooring & Port Services S.L. Copyright.